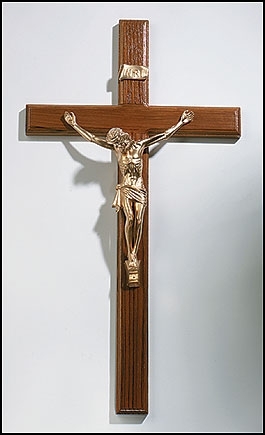 20” lightweight crucifix is perfect for classrooms. Bronze-like Corpus on moulded cross. Hole in back for hanging. Boxed.